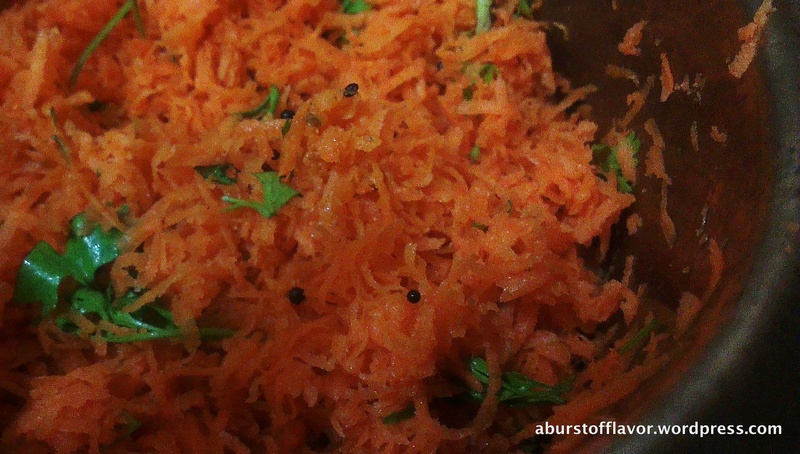 Wash and grate the carrots finely. 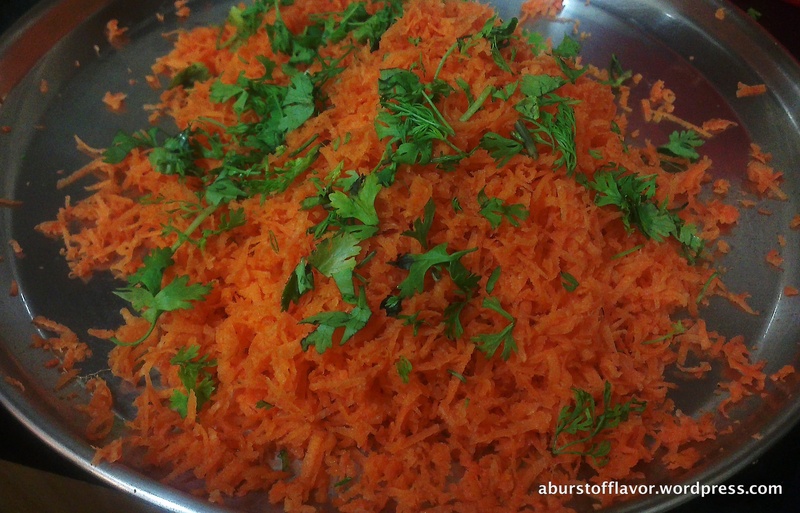 Add the chopped coriander to the carrots. Add salt and lemon juice to this. Mix well. In a tempering pan, heat 1 tsp of oil. Once hot, add mustard seeds and allow to splutter. Add hing and switch off the stove. Let this oil cool down for few minutes. 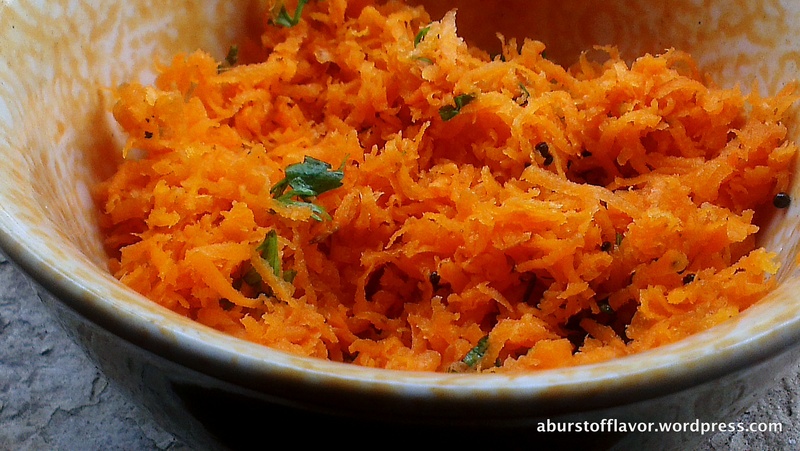 If you add the hot oil from the stove to the carrots, it will cook the carrots and change the colour to pale orange. 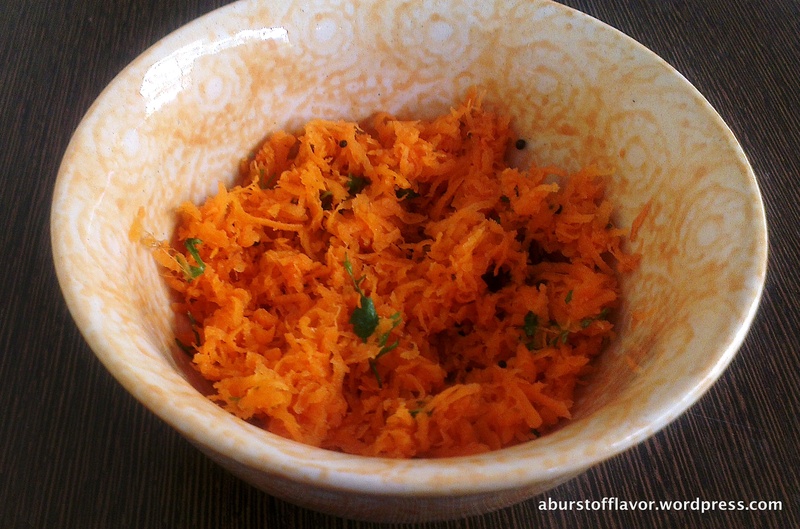 We want to retain the freshness and colour of carrots. The intention is to add tempering only for taste and texture. 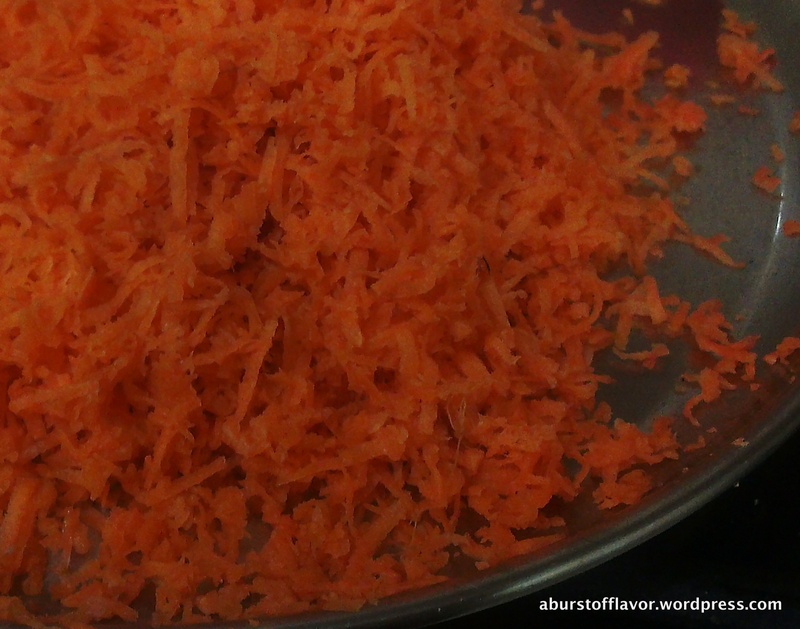 Add the cooled tempering to the carrot mixture. Mix well and serve. 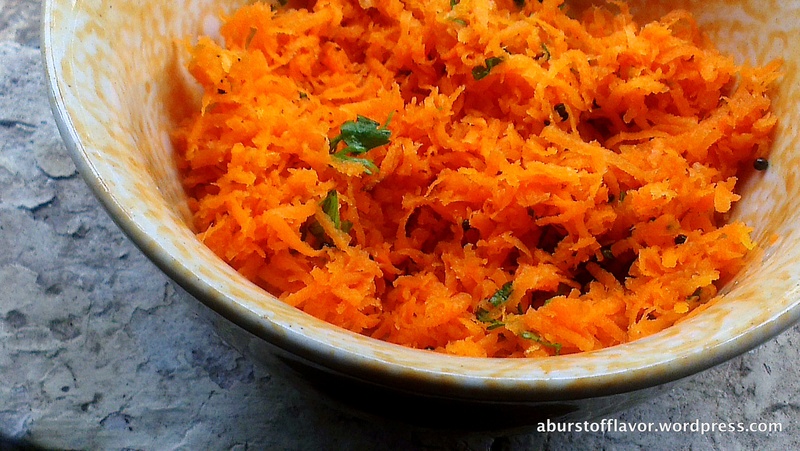 Note: Mix well just before serving as the salt and lemon juice makes the carrots release their juices, which usually tends to collect at the bottom of the bowl.